In last 5 years, we all have grown up experiencing e-commerce and tech-enability making convenience a form of lifestyle. Everything is just a click (and these days rather a fingertap away). Food, clothing and now housing (the quintessential Roti, Kapda aur Makkan) have all found their way to the 5-inch platform. Amongst all the others having your own Makaan is everyone’s lifelong dream. However, despite several platforms coming up on the ‘buy, sell and rent’ model there was a visible gap in the home décor, beauty and aesthetics segment in the construction industry. One can definitely buy, sell and rent houses but what about homes? Here is where me and my brother saw a window of opportunity. We decided to venture into coverings and tiling. The idea was even more workable due the proximity of Morbi to Ahmedabad. This small town houses an industry size of USD10 Billion within the periphery of 50 Km. having almost 1500 manufacturing units for tiles, sanitary ware and other coverings. However, the biggest challenge was that the market having huge potential is highly unorganized making it inaccessible to the the right customer at the right time. Thus, Tilebazzar was born. We wanted to bridge the gap between the manufacturing industry and the consumer and in turn helping the industry to organize itself on the virtual space. We wanted to provide every stakeholder a levelled platform to reach out to the masses across the country. We at Tilebazzar aim at providing a variety of choices at affordable price under one roof and also to provide end-to-end solutions within budget to beautify houses for customers and also provide greater exposure to the small and medium enterprises at Morbi to to come on board and showcase their products. 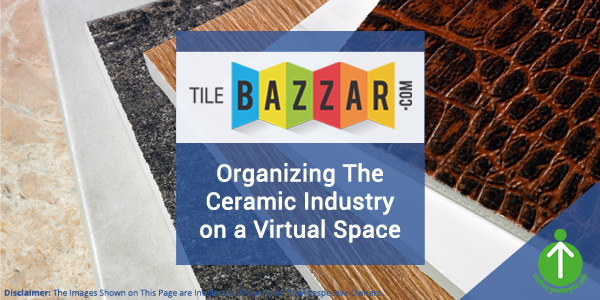 To make Tilebazzar a reality and covert the idea into right product, it was very important that the stakeholders understood the concept and tell us their problems. Thus, we created a beta website and conducted our market research for 6 long months formulating different services that would assist everyone- Manufacturer, Builders, Architects, Dealers, Developers and the Government as well. Our moto stands simple – Every Covering @ Every Price. We are planning to launch Tilebazzar by the third week of May. We are proud to be first of its kind platform which shall not only provide you coverings but also provide creative solutions so that you get your dream house in just the way you imagined it to be. Tilebazzar plans to do two things in future – Firstly, bring a behavioral change in the way our county perceives aesthetics in Building & Construction Industry. Secondly, we also want to make Morbi the epicenter of Ceramic/Vitrified Tiles, Sanitary and other coverings for the world in next 5-7 years. Myself and Shikhar want to make this town as Ceramic “Silicon” Valley because we understand our true success does not only lie in our personal achievements but also in the success of each and every stakeholder involved in the process right from the grass root level. P.s. To every woman entrepreneur out there- if you are taking a chance to enter a male dominated industry, don’t back down, you will find your place give it time. But walk tall and stay strong.